President Buhari receives the report on New Minimum Wage from the leader of the government delegation . The report of the Tripartite Committee on the Review of National Minimum Wage has been handed over to President Muhammadu Buhari on Tuesday. President Muhammadu Buhari has received a report by the members of the Tripartite Committee on the Review of National Minimum Wage. The document was handed over to the President by Ms. Amaopuoruba Pepple at the State House, Abuja on Tuesday. However, the handing over does not mean that an amount has been agreed. After the deliberations resulted in an agreement that was above the 22,500 Naira that governors of states, who had the larger amount of this payment to make, the strike was called off on Monday. The labour unions had said that the document would be handed over to the President after it called off strike on the ground that the government would decide a figure between 24,000 and 30,000 Naira as the new National Minimum Wage. After the deliberation, Ms Pepple told reporters that the document would be handed over to President Buhari for deliberation and that has been fulfilled. 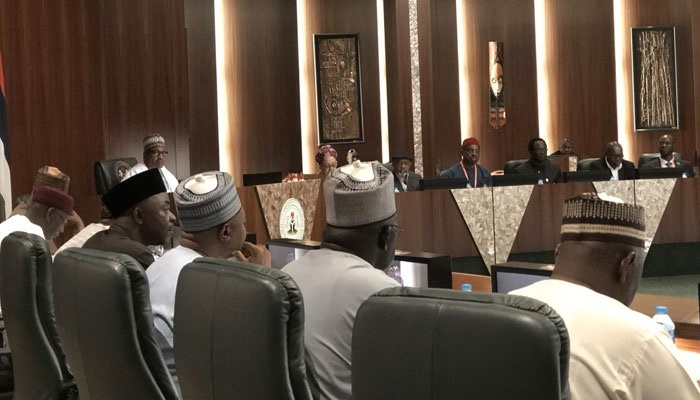 There are expectations that the document would be placed before the cabinet at the Federal Executive Council meeting of Wednesday, as time appears not to be on the side of the labour unions for the approval of the new wage. The labour unions were demanding for 30,000 Naira, but Governors of different states have said they could only shoulder 22,500 Naira, looking into the bag of money they get from the Federal Allocation monthly. According to them, there was not enough fund to accommodate what the labour unions were demanding. Political rallies for the 2019 general elections are expected to begin in December and the labour unions would have to press the government hard to finish the process that would require the National Assembly and States House of Assembly to pass the bill that would contain a final amount into law. Economists have said that if labour unions could not get the new wage issue finalised before the middle of December, they may never get it done until 2022. Some have said that the 30,000 Naira request would be a big burden on some states who at the moment could not pay the 18,000 Naira minimum wage.